Location is very central. Staff was polite and efficient. Room was clean. 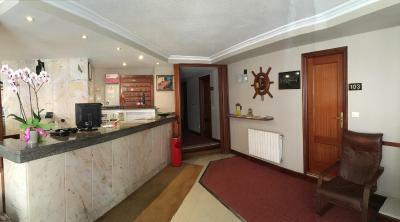 Great central location - easy to find on the Camino . Room comfortable and clean . Castro is a nice town with a good vibe and plenty to explore. 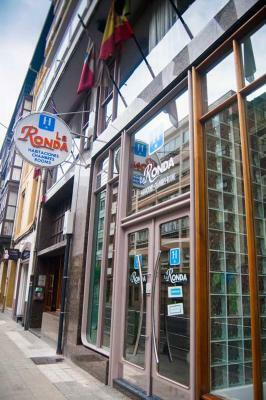 Great tapas bars and restaurants in the old quarter . Very close to centre. Easy to find from the Camino. Easy to start again. String shower. Good clean two star hotel. Bed rooms clean & comfortable. Everything worked OK in the bathroom with good hot shower. Staff very friendly & helpful. The town is very picturesque & only a 200 metre walk from the hotel to the sea front. Cercanía al centro sin estar en el jaleo y poder guardar coche en pk de Paseo Marítimo por 8€/día... Cama bien y con almohada doble para conseguir la altura deseada. Curioso sistema de bidé en el inodoro. La ubicación, que nos cambiaron habitación al solicitar, amabalidad Limpieza de la habitación. Lo pongo aquí porque no es imputable al hotel: Lo de aparcar, que no es cosa del hotel sino del Ayuntamiento, por la zona es un poco lío conocer que días, zonas, etc. Nos informaron bien en el hotel, pero a efectos turísticos no motiva mucho el sistema municipal de regulación y las pocas plazas libres a pesar de tener que pagar. La situacion es buena para pasear por el puerto y comer, muchos bares y restaurantes para tapear. La playa mas lejana Nos sorprendio que en el baño habia un inodoro con limpieza de las partes nobles con aire y chorro de agua. Lo mejor del hotel es la ubicación. Las habitaciones son simples pero limpias. Es silencioso. 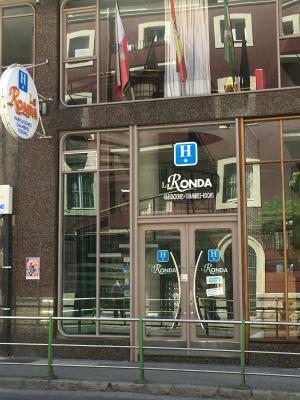 Hotel La Ronda This rating is a reflection of how the property compares to the industry standard when it comes to price, facilities and services available. It's based on a self-evaluation by the property. Use this rating to help choose your stay! 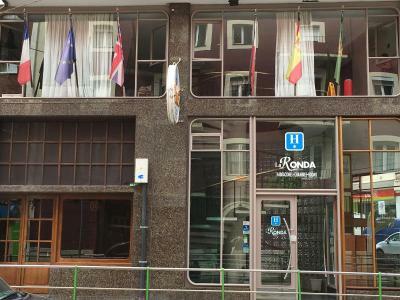 Hotel La Ronda is centrally located in Castro Urdiales main shopping street, and only 10 minutes’ walk from the beach. It offers simple décor rooms with free Wi-Fi, a TV and private bathroom. 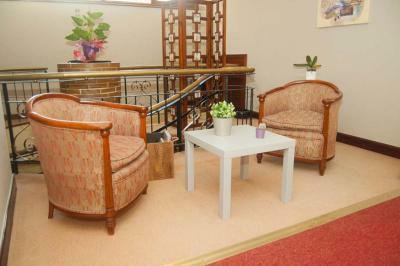 The hotel features a café bar and a lounge where guest can relax while reading a book or watching TV. 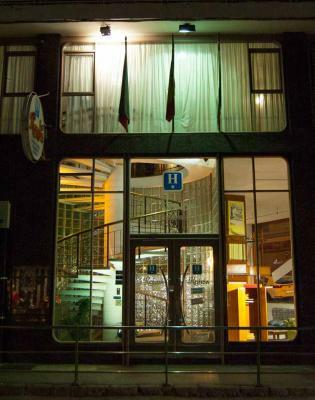 Staff at the 24-hour front desk can provide tourist information about the area. 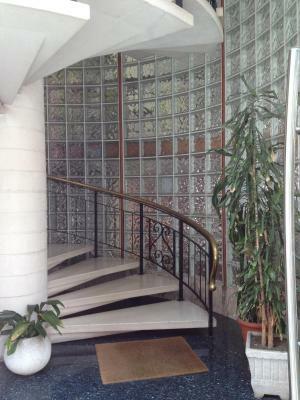 The hotel also has a bicycle storage facility which you can use for free. The surrounding area is ideal for hiking and surfing. Bilbao is 22 mi from the hotel while Santander is 47 mi away. 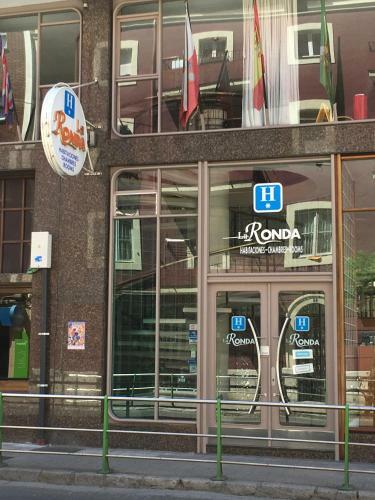 When would you like to stay at Hotel La Ronda? This simple décor rooms features a TV and a private bathroom. House Rules Hotel La Ronda takes special requests – add in the next step! Hotel La Ronda accepts these cards and reserves the right to temporarily hold an amount prior to arrival. Room was real stuffy in December. Cannot imagine spending a night during summer months. Didn't see any air conditioner in my room. Poor sound proofing. Could hear every guest buzzing the front door and walking the strairs. Room and bathroom quite run down. Could use refurb. There are not facilities for people with disabilities. 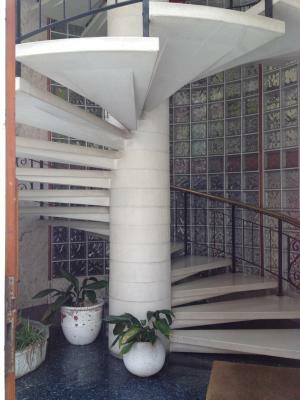 You have to get to the reception thru many stair steps, it is awful. Advertised with parking, yes there is on a daily paid meter if you can find one near the hotel, we had to park 150 meters away up a steep incline, when we entered the hotel we had to climb 27 steps with heavy cases no lift, dark dismall place all the doors of the unocupied rooms had windows wide open to let in air, our room was aged but clean, when we returned late evening we realised why all the windows were open earlier the smell from the bathroom was terrible and was also permeating into the bedroom, I went the desk to complain he said you can have another room I said no thanks we're leaving in the morning, we booked 2 nights but stayed 1 . Smelly bathroom. Very thin walls so you can hear your neighbors snoring... noisy street as well - unloading place for local supermarket in front of the windows. Wi-Fi didn’t work and staff didn’t bother to help. Fan broken and only one plug for charging anything. It would have been nice if there had been a breakfast option but there were lots of bars nearby. You may hear every single noise from all the rooms next to you. Strange long corridor without light. Difficult to find a place to park.